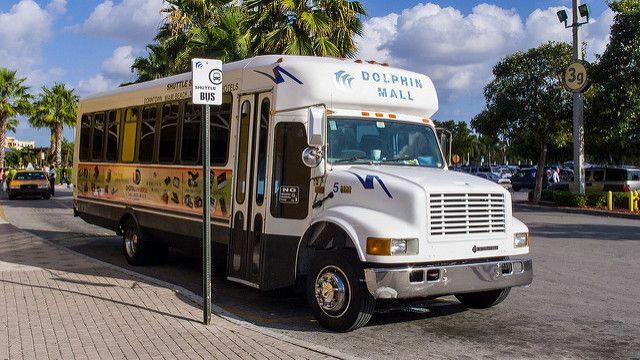 We operate two different shuttle bus services for Tampa, FL: Daily Shared Shuttle Bus and Private Shuttle Transportation to and from over 40 Florida destinations, including our Tampa to Orlando Bus, tampa to miami bus and Tampa to Sarasota. Tampa Station:11706 Tampa Gateway Blvd Seffner, FL 33584 *exit 10* (Travel Centers of America) GET DIRECTIONS. Our Tampa daily shared shuttle bus service is extremely convenient when you are looking to travel accross Florida for an affordable price. Get picked up at any of our great pick up locations! Private Transportation is available for Tampa transportation needs. This service is available anywhere and at anytime in Tampa, FL. Frequently our customers travel from Tampa to many destinations in Florida for vacation, business or to visit family. Check out our Tampa Most Popular Trips. From Tampa, FL Florida Shuttle Now offers both Daily Shared Shuttle or Private Shuttle Transportation, our Tampa trips are: Bus from Tampa to Orlando, Tampa to Miami Bus, Tampa to Jacksonville, Tampa to Sarasota, Tampa to Fort Myers, Tampa to Fort Lauderdale, and more. Explore Tampa Florida on your next trip. Tampa is a vibrant Florida destination with many different restaurants, bars and entertainment options to choose from. Tampa's shore and beaches are also among some of the best inf Florida. There are plenty of activities including Tampa's Zoo & Aquarium, Busch Gardens and sports such as the NFL Tampa Bay Buccaneers and NHL Tampa Bay Lighting. Take advantage of our Tampa Shuttle Bus which is proud to provide courteous and on-time ground transportation services to all Florida major airports and seaports. Our fleet of modern, clean and reliable vehicles will get you where you need to go in a safe and comfortable way.